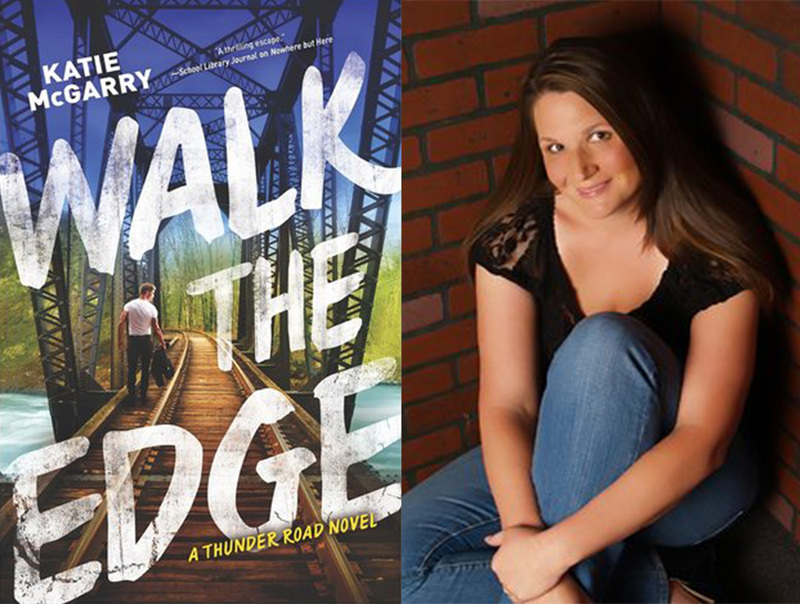 Today, I’m sharing a Q&A from a twitter chat that took place last summer with Katie McGarry! Katie’s the author of the Pushing the Limits series and the Thunder Road series, both of which I highly recommend! Katie McGarry: That if I’m not experiencing the emotions my characters are feeling, I’m not writing the right thing. If they cry, I should be crying. If they laugh, I should be laughing. KM: When the writing comes easy=favorite. Writer’s block=least favorite. KM: Yikes. All of them in one way or another. I give them all a piece of me. I understood Beth and Haley the most because of the hurts they had to endure. KM: I wish I could drive a stick shift like Isaiah and Rachel. I can drive one, but not well. J: If you were to write another book in the Pushing the Limits series, who would be the couple? KM: Excellent question! Jax and Ethan definitely need someone special in their lives. J: Which book was easiest to write? Hardest? KM: Easiest: Chasing Impossible. Hardest: Take Me On—emotionally tough for me to write. KM: Walk the Edge! It is beautiful! J: How did you come up with some of your book titles? KM: Yes. Every one of my stories is inspired by an event or emotion from my past. KM: When Emily finds out what the stars on Eli’s arms mean. KM: I second ‪Trish Doller’s The Devil You Know and ‪Kristan Higgins’ If You Only Knew. Both amazing. I also loved Miranda Kenneally’s Jesse’s Girl! Thanks for answering all of my questions, Katie! If you haven’t yet, be sure to check out Walk the Edge in stores now! Not sure if you’ll like Walk the Edge? Read my 5 star review here!